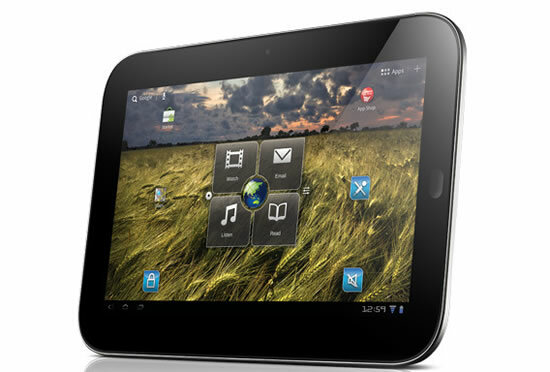 This coming spring 2012, Lenovo’s ThinkPad Tablet users will be able to upgrade to the latest Android 4.0 OS, also known as Ice Cream Sandwich. Committed to making their tablets ‘future proof’ by supporting newer releases on the Android OS, Lenovo tablets with Ice Cream Sandwich will offer new features including but not limited to: A new and improved browser with a significant speed enhancement that allows users to jump to their favorite content faster and even save it for reading later in case there’s no network available. Voice input allows users to dictate text. As the voice input engine enters text, it underlines possible dictation errors in gray. After dictating, users can tap the underlined words to quickly replace them from a list of suggestions. Face Unlock, a new screen-lock option that lets users unlock their device with their face. It takes advantage of the devices’ front-facing camera and state-of-the-art facial recognition technology to register a face during setup and then recognize it again when unlocking the device.